Simon has a long history in IT and is one of Australia’s Internet Pioneers. In the late 1980’s he began using BBS’s on a 300 baud modem reading messages from around the world on Fidonet. He first started using the Internet in 1989 along with a growing number of people who were accessing it via Unix boxes and clunky old VAX mainframes. While at University studying Computing and Management (before the web took off), he recalls using gopher and downloading shareware via FTP from sites such as simtel20 at White Sands Missile Range (USA) and from archie.au in Australia. In 1993 he saw Mosaic released, which later became Netscape. In 1994 Simon registered his first domain name while working for a company in developing a proprietary graphical online service, similar to that of Compuserve. Back then there was no Melbourne IT, ICANN didn’t exist and there were no industry bodies such as auDA. The registration was done in part, by calling up Robert Elz at Melbourne University. This was because the domain was a dictionary word, and under “Roberts rules”, couldn’t be registered. After calling, emailing, printing and faxing paperwork, the domain was eventually registered. In 1995, Simon had an idea about creating a national ISP. 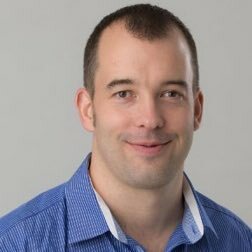 This led him to acquire the domain name isp.com.au along with a contract to operate as an ISP using the infrastructure of Labtam (who later became Access One and then OzEmail). ISP became one of Australia’s first ISP’s with points of presence in every state and territory. In early 1997 he built a niche search engine and portal around one of his domains which he later sold in 2002 for an undisclosed amount. After taking a few years off, Simon wrote a best selling book in the category of Internet safety and became a regular contributor to Australian Personal Computing magazine. Since then, Simon has worked for many large regional and global companies in the areas of Information Security, Fraud Prevention and Operational Risk. After spending many years developing his own strategies and proprietary tools, Simon co-founded Internet Marketing company Kikabink in 2006. He then went onto develop an intellectual property monitoring service, IP Neighborhood. He is a former Board Director of auDA and served as the Chair of the Security and Risk Committee of the Board. Simon currently works in the Blockchain industry and is an investor in early stage cryptocurrency businesses and technology. If you would like to contact Simon, please use this contact form.